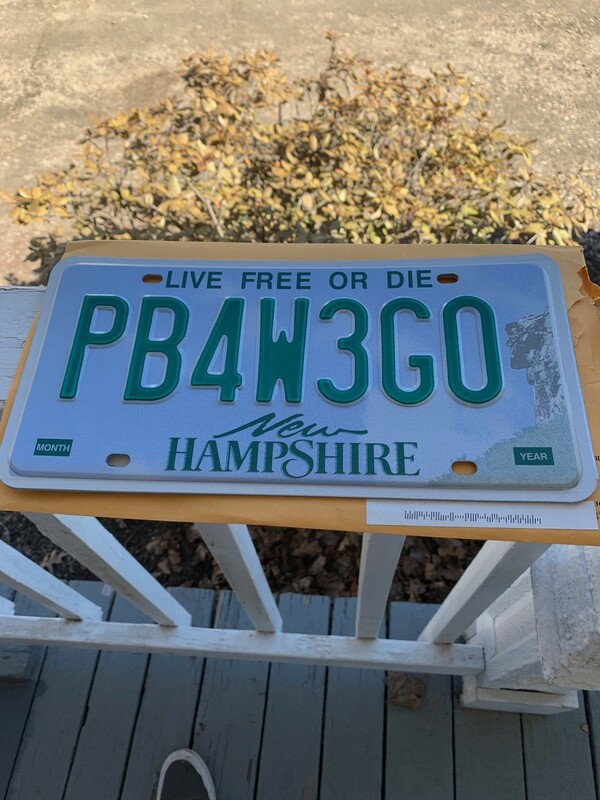 New license plate to make it official! This past weekend, we finally got to take it to work. 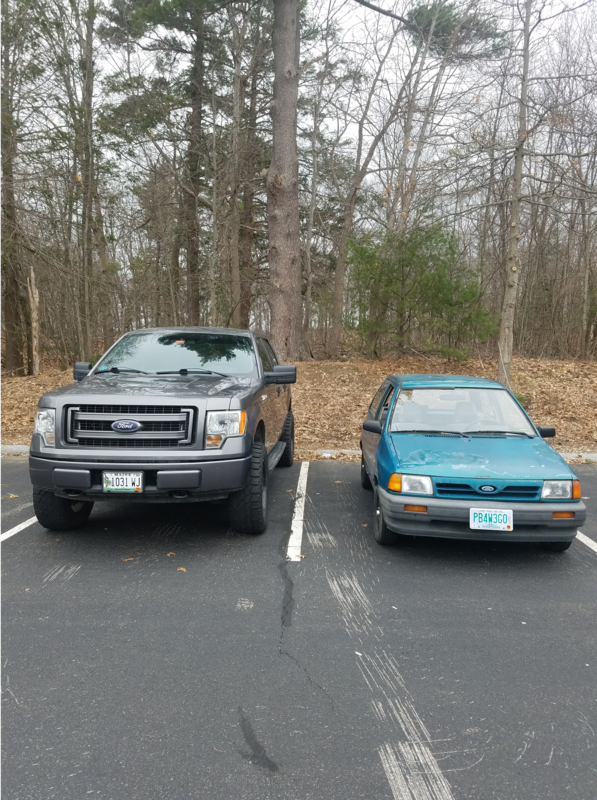 Here it is parked next to our friend's f150 at work. 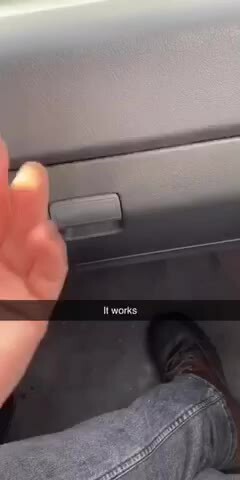 On the way home, hooptylife made a series of snapchats showing off the state of the art sound system, the reclining seats, and much more. Yoink. Luckily the broken flange came off easy too. I was afraid I was gonna have to cut the bolts, but all it took was a little pb blast and some persuasion. 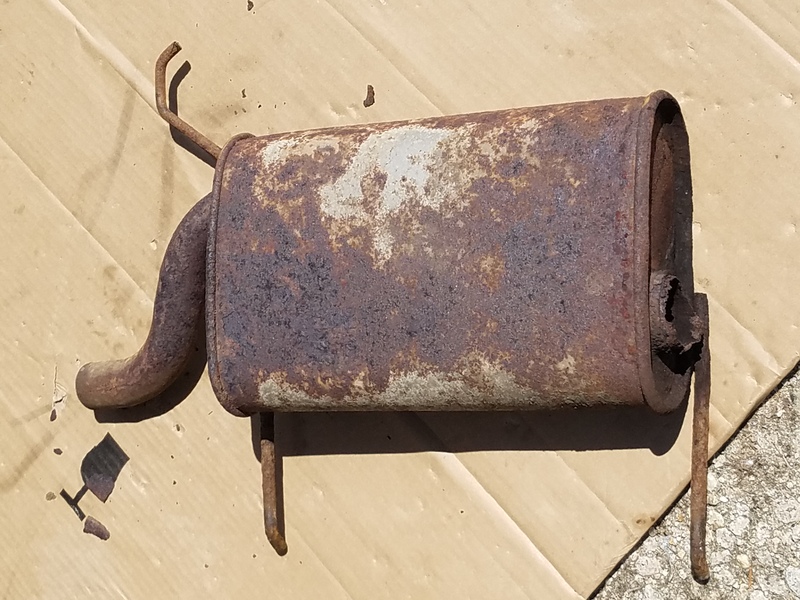 The new muffler will be here on thursday, so we'll have it fixed and inspected in time for work on friday.